Approximately 70,000 Italian immigrants arrived in the Port of New Orleans between 1898 and 1929. They brought with them a yearning, a hunger for the things they valued: bread, respect, fortune, security, beauty, justice, and drama. Impoverished conditions in Sicily lead its people to respond to Louisiana planters’ pleas for workers, and the transported Sicilians were then able start new lives, rising quickly to become leaders in their communities. This is bread. There were few opportunities for land ownership in Sicily and overcrowding in the urban slums into which immigrants in other parts of the country came. In Louisiana, these immigrants largely settled in rural areas, and before long, Italian Americans became the “food kingpins” of the state. This is respect. Together, they form the basis of this history of interwoven influences, clashes between the old world and the new, and that which makes America the great nation it is: the longing of its citizens to be independent. 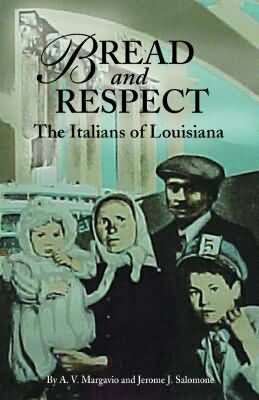 Using vignettes, family histories, and census as well as other historical records, A. V. Margavio and Jerome J. Salomone examine how Italian culture shaped the lives of the immigrants to Louisiana and, in turn, how experiences in Louisiana modified the Old World values and culture the Italians brought with them. 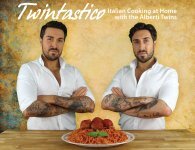 There are hundreds of thousands of Italian Americans living in Louisiana today. A. V. Margavio is a professor of sociology at the University of New Orleans. Jerome J. Salomone is a professor of sociology and scholar in residence at Southeastern Louisiana University.